1. 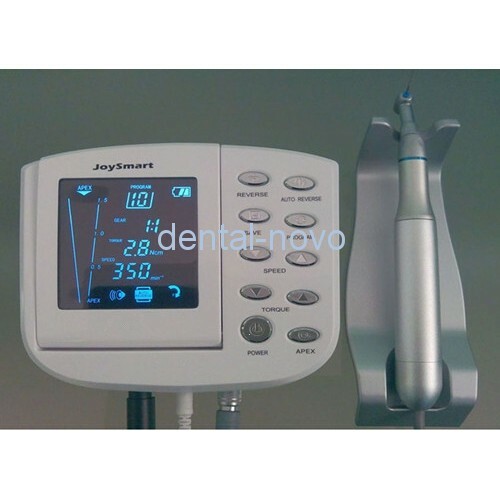 This is a root canal machine with Endo motor function and Apex locator function. 2. Type:Endo-38 Joysmart Endo Motor 3. Apex locator function and Endo motor function can be used together and separately during the operation. 4. Adjustable LCD screen to make operation easier. 1. 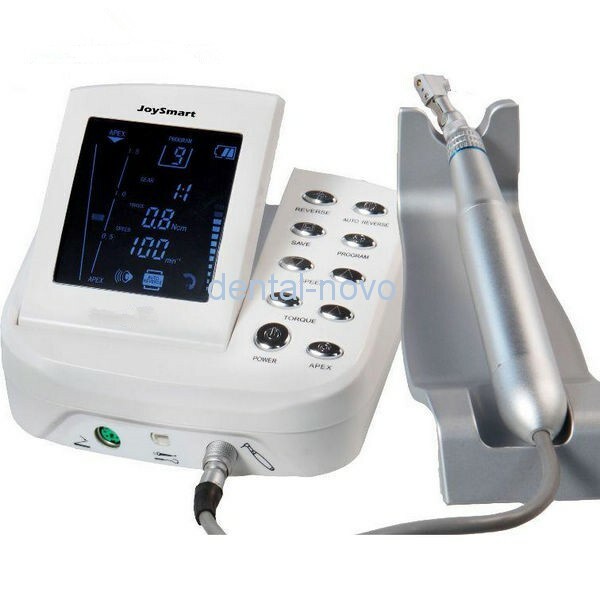 This is a root canal machine with Endo motor function and Apex locator function. 3. Apex locator function and Endo motor function can be used together and separately during the operation. 4. Adjustable LCD screen to make operation easier. 5. In the process of root canal treatment, when the file reaches apex, the unit will stop working automatically. 6. The machine have 10 programs, each program can be adjust torque, speed, auto-reverse, Apex area presetting independently. Each preset program can be memorized and when restart the unit, you can just find the preset program by press “Program” button in a convenience way. 7. Auto-reverse function: When torque exceeds the pre-set value, the file will reverse automatically to avoid the perforation and break-off. 8. The unit is powered by rechargable Lithium battery, in order to protect the life-span and working life of the battery. The machine will turn off automatically in 8 minutes without use. 9. Contra angle, file holder and stainless hook can be 135℃ autoclaved. 10. Power on/off with foot pedal. 11. The Joysmart Endo Motor can offer dentist true convenience.